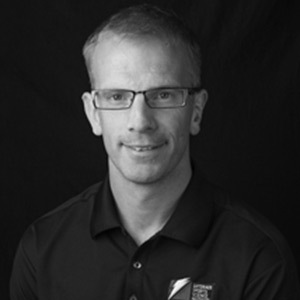 James Carter has 17 years’ experience in the application of exercise physiology in sporting and occupational settings. Following completion of a BSc in Sport and Exercise Sciences at the University of Birmingham, he undertook a PhD at the same institution under the supervision of Prof. David Jones and Prof. Asker Jeukendrup. This body of work focused on endurance exercise and the relationship between carbohydrate supplementation, environmental heat stress and performance. During his PhD (2000-2003), James carried out additional physiology consultancy projects with the Ministry of Defense (British Army) and Chelsea Football Club. On leaving Birmingham, James spent eight years working for the UK-based occupational physiology company Optimal Performance Limited (OPL). Initially this involved providing scientific support to the Ministry of Defense (Army, Navy and Air Force), Home Office (Police and Fire and Rescue) and Department of Health (Ambulance Service). Typical projects included development of physical selection standards, auditing the physical demands of training, fitness testing, investigating methods to monitor and prevent heat strain and improve hydration and identification of risk factors for injury. More recently, James spent four years in the United Arab Emirates (UAE), on behalf of OPL, setting up and helping to run a Health and Sports Medicine Centre for the UAE Armed Forces. During this time (2008-2012), he managed a team of health professionals, including: sport scientists; exercise therapists; physiotherapists; dieticians; nutritionists and health educators. James joined the GSSI team in April 2012, initially as Head of the GSSI International Team based in the UK. In 2014 he took on the responsibility of developing the GSSI Athlete Service Model and since joining the institute has worked with numerous professional team sport and endurance athletes. In 2015 James accepted the post of GSSI Director and is based out of the Institute’s headquarters in Barrington, Illinois. Throughout his career he has published numerous peer-reviewed journal articles, is a Fellow of the American College of Sports Medicine and has presented internationally at a range of sport science and occupational physiology conferences.